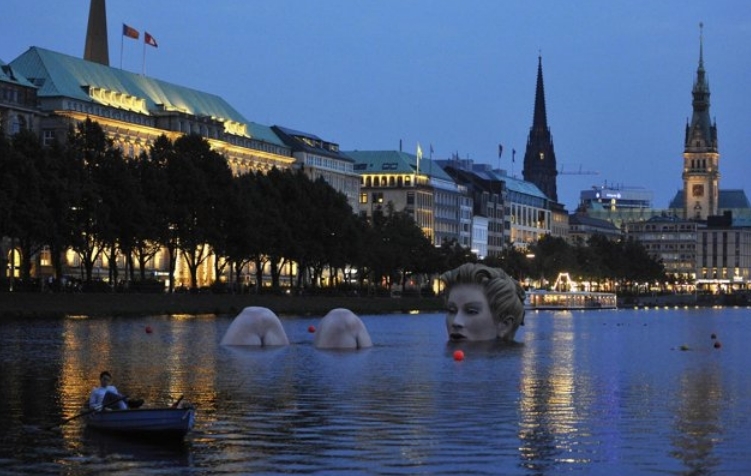 Here's an interesting series of photos depicting a sculpture of a mermaid (with legs?) in a lake in Hamburg, Germany. The mermaid is just one translation of it, it is also translated as the Bathing Beauty. When I fist saw it being called a mermaid all I was thinking about was, "There are knees?"